SuperCabby AKA Jamie is the main host of Cab Chat show and one half of the original duo behind Cab Chat. 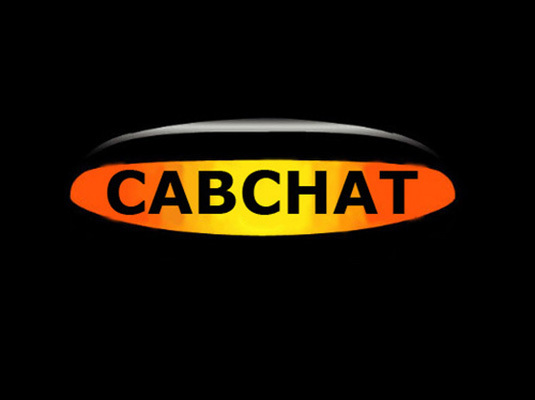 MacTheCab AKA Mark is the other half of the original duo who started Cab Chat, since moving to France Mark returns to the UK occasionally to co-host the show with SuperCabby. Mark brings his own twist of humour to Cab Chat with his witty one liners and profound remarks. Iamcabman AKA Rob co-hosts the show with SuperCabby twice a month, Rob brings his Sounds of the Suburbs to Cab Chat and also his experiences of doing the Green Badge Knowledge of London. TheHolbornCab AKA Joe is Cab Chat’s Jingle singer, Joe also writes and performs many of the parody songs that you can hear on Cab Chat. Joe is a very talented singer. Joe also sends in the occasional item for inclusion in the show and also conducts some of the Cab Chat interviews. GentlemanCabbie AKA James is an occasional co-host on Cab Chat, James was formerly a regular host on the show until recently having his first child. James brings his posh accent to the show coming from Surrey, Erm sorry Essex. RequiredLevel AKA Saul contributes to Cab Chat on a regular basis, behind the scenes and also by sending in items for discussion. Saul comes to Cab Chat after recently having a go at presenting the Breakfast Show on London Taxi Radio. DropKick AKA Ricky is Cab Chat’s resident comedian, Rick is a naturally funny guy, always having a laugh and telling jokes. You can find some of Ricky’s jokes here. Drumslayer AKA Marc is one of Cab Chat’s roving reporters, Marc regularly contributes to Cab Chat with news from around the Taxi Trade, he can also be heard calling into the show sometimes, normally when he is in the shower! MazCab AKA Marc Collins, is the Cab Chat voice over man, or the Voice of Cab Chat, Marc lends his voice to Cab Chat when not being famous on Solar Radio.